For the second UFC show in a row, there were only two finishes on a 12-bout fight card. Wanna see one of them? 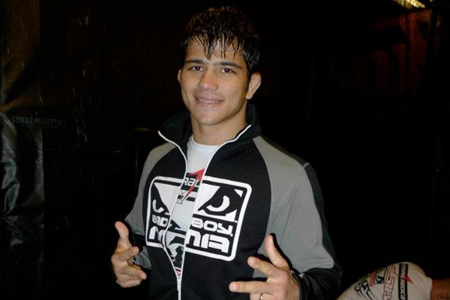 On Saturday, welterweight Erick Silva (pictured) proved that letting go of a single-leg takedown attempt when you’re getting clobbered in the head might be a good idea. Silva quickly, and easily, disposed of Takenori Sato with a barrage of bombs to the dome last night. The official time on the stoppage came at just 52 seconds into the opening round. Hey, Sato, let go! LET GO!